Car FYI: Dodging Dodge: Is the Brand Being Buried by FCA? Dodging Dodge: Is the Brand Being Buried by FCA? A little less than a month ago, Fiat Chrysler Automobiles (FCA) held a Capital Markets Day function discussing plans across their entire fleet of brands. Jeep, Ram, Alfa Romeo, FIAT and Maserati all received mention through the presentation by FCA Chief Executive Officer detailing the company’s plans over a five-year time line. Expanded model lineups, electrification and an expanding autonomous driving partnership with Waymo were subjects being highlighted in the major announcement to investors and financial analysts. Receiving notably less attention through the FCA Capital Markets Day were two classic American brands. While Chrysler’s Pacifica were connected to the Waymo announcement but received little additional mention in regards to product plans for the brand as a whole. As for the Dodge brand, the entire presentation went with little acknowledgement leading to questions on the brand’s future relevance. Since 1914, the marque existed as the legacy of the Dodge brothers. Despite passing away at a relatively young age, John and Horace Dodge made a lasting tread print on roadways, off-roading, race tracks and importantly driveways. Prior to the formation of their namesake company, the duel originally functioned as component suppliers entrusted to provide vital pieces for the early vehicles sold by American automotive pioneers Ransom E. Olds as well as Henry Ford. When the brothers set out to make their own mark inside the ultra-competitive American auto industry of the early 20th century, their success was immediate. After just its third year as an auto company, Dodge was ranked as the third highest-produced automobile manufacturer in the United States behind Ford and Willys-Overland. 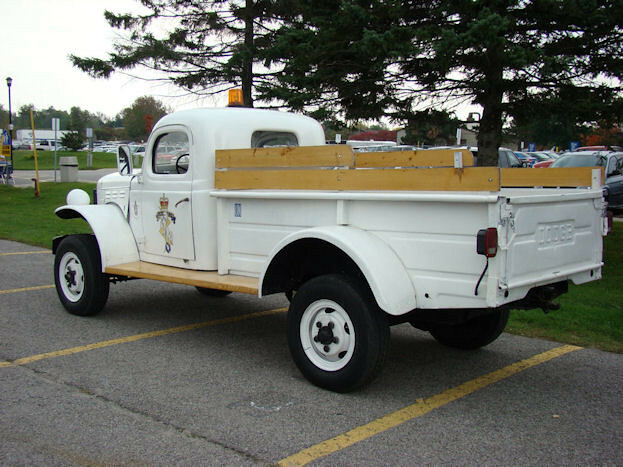 Absorbed into the Chrysler Corporation in 1928, Dodge has served as a premium car brand in the 1930s, a performance line starting in the 1950s as well as a trusted name in light-duty and even heavier duty trucking. The nameplate’s presence in both the passenger car and truck market ultimately resulted in Dodge being the workhorse brand for Chrysler Corporation from the 1960s through to the parent company’s 2009 bankruptcy. Outselling the budget-minded Plymouth in 1979 for the first time in 50 years prior, Dodge maintained a diverse vehicle range that would eventually include the Viper supercar. In 2007, the Dodge lineup consisted of 11 products (collectively recognizing the vast Ram pickup truck as a single product assortment). Today, only five vehicles make up the auto division. Although the 2018 model year has been highlighted by two high-performance vehicles in the form of the Dodge Challenger SRT Demon and the Dodge Durango SRT, there are still some troubling details beyond the captivation of pure horsepower. A narrowing product line features aging platforms with FCA seemingly kicking the can down the road on massive upgrades. Since 2005, the Dodge Charger and Challenger have been built on a mechanical architecture derived from the LX platform. Since introduction, the two-door Challenger is officially noted as the LA while a heavy redesign of the Charger in the 2012 model year resulted in the sedan platform being renamed the LD platform. Positively though, both vehicles are some of the sharpest designs in their class thanks to several styling and technical upgrades as well as a strong initial creation based on the LX platform. 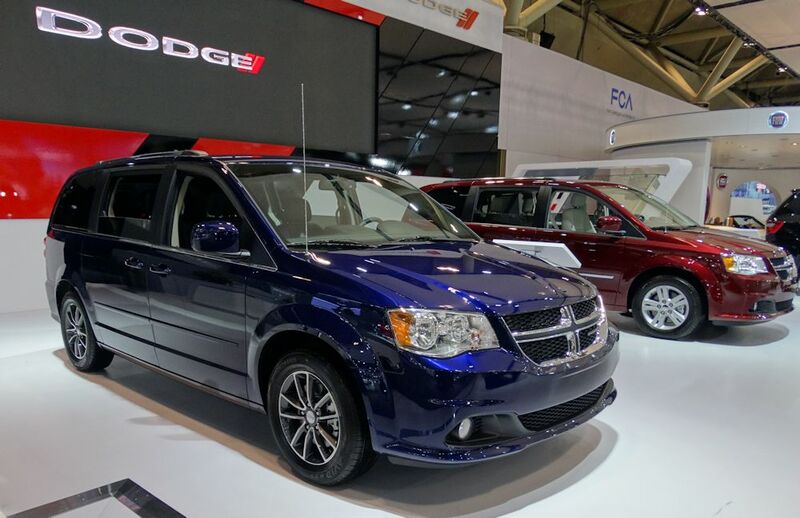 In addition to the Durango sport utility vehicle built on the same underpinnings of the Jeep Grand Cherokee but uniquely featuring three-row passenger capacity, Dodge continues to sell the Grand Caravan and Journey. Both the Dodge Grand Caravan and Journey have been in the marketplace for 10 years without a major generational update. 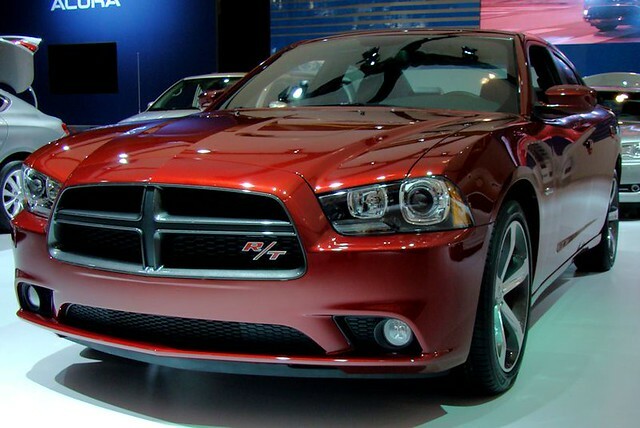 Ranked as the 6th highest-selling automotive brand in the United States in 2009, Dodge was ranked 12th among nameplates after the 2017 calender year. Along with the before-mentioned smaller product lineup, some massive decisions made by Chrysler Group or Fiat Chrysler Automobiles in 2010 played a major role in the sales decline. Following the 2009 bankruptcy, the company chose to divide the truck and performance arm of Dodge. Dodge’s full-sized pickup truck and the Dakota mid-sized truck were integrated with the new Ram brand in 2010 becoming the exclusive supplier of pickup trucks and commercial vehicles. As the new company also received Dodge’s Ram badge, a logo incorporating dual racing stripes with the Dodge name. 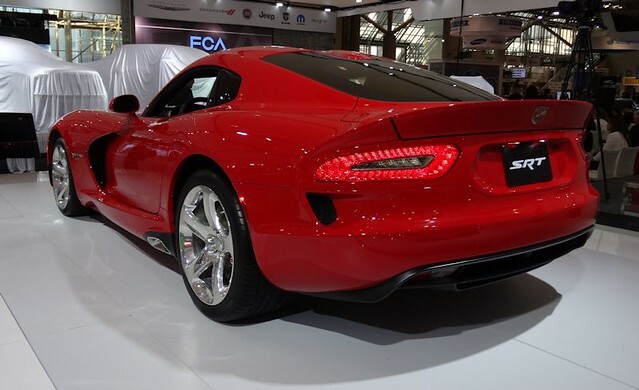 The SRT brand was also created as a high-performance distributor of a redesigned 2013 Viper. A short-lived experiment, SRT and the Viper would be re-integrated with Dodge in 2014. 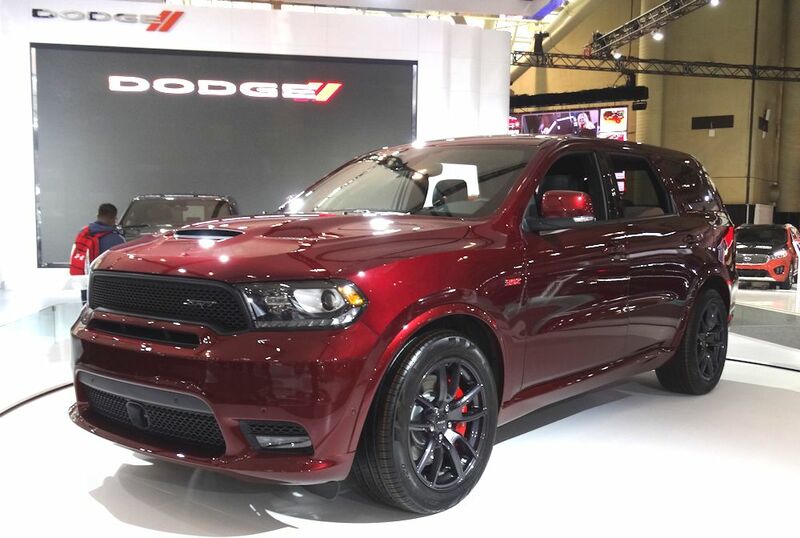 The move did insure Mopar fans the familiar Dodge nameplate would be the home for FCA’s American-style performance heading forth into upcoming years. Both occasions were sad incidences where it seemed the heart of Dodge’s heritage was ripped away. Since 2009, the only completely-new product created for Dodge was a compact sedan (accepting the Viper was introduced as a SRT model that joined the division). Spawned from a modified platform first used with the Alfa Romeo Giuietta, the famed Dart name was resurrected once again to be a leading name in small cars for the 2013 model year. Despite initial hype, the Dodge Dart underperformed compared to other compact competitors in the North American marketplace. Recalling the Dodge Dart, it would be worth questioning in hindsight how much Fiat Chrysler Automobiles would want to devote efforts to one compact car when the Fiat brand intended to relaunch in North America with the modern 500 line. Inside the new Fiat Chrysler Automobiles family, Jeep, Ram, Alfa-Romeo, Maserati and Fiat appear to be the spoiled children. At the FCA Capital Markets Day gathering, projection charts confirm production for four of the five is expected to account for an overwhelming share of the corporation’s net revenue heading into 2022. In fact, Jeep is predicted just under half of earnings will depend on the Jeep brand. In the center of the road for providing performance cars and everyday vehicles, Dodge is fitting the role as a middle child within the corporation. Particularly with the relaunch of the Fiat and Alfa-Romeo brands back in the United States, FCA has been bumping-out vehicle types that may have been conceived for Dodge. The Fiat 124 Spider was the compact roadster Dodge fans would have wanted for so long. The Fiat 500 delivered when the long-delayed and eventually cancelled Hornet subcompact failed to materialize. While Dodge is without a compact or mid-sized sedan in 2018, the Alfa-Romeo Giulia arrived and is perhaps stealing the performance thunder away from the Charger. While the Dodge Charger has a lower starting price, the premium-oriented Giulia competes tightly with the well-equipped American-based sedan. Finally and maybe the most offensive to American high-performance fans, the Dodge Viper was retired last year with no replacement in the pipeline. However, a new version of the Alfa-Romeo 8C production supercar is slated for release within the next five years. After the years, FCA’s position on Dodge’s product line has also been a matter of speculation and confusion. Uncertainly have surrounded the continuation of the Dodge Grand Caravan when the company decided to market their all-new Pacifica minivan under the upscale Chrysler nameplate. Massive updates to the Charger and Challenger have also been forecasted for years but ultimately end-up in cosmetic retouches and the occasional performance variant. Similar uneasiness is also plaguing the Chrysler brand. In fact, some industry insiders believed there may have been an official word by FCA that the Chrysler was going to be discontinued. While that did not happen, Chrysler still only has a full-sized sedan and minivan for the 2018 model year with no plans to expand the lineup for the immediate future. Despite Dodge’s questionable standing in FCA, there are several reasons not to discount the brand. The recent SRT models of the Charger, Challenger and Durango generated buzz pulsating at the same level as the exhaust sound pounding from their HEMI engines. Another advantage for the brand remains with the Grand Caravan. Opposing the more-advanced Chrysler Pacifica, the Dodge Grand Caravan continues to win over families heading through 2018. Thanks to a lower price point, the Grand Caravan continues to outsell the Pacifica. The Dodge Grand Caravan will endure through 2019 before a replacement vehicle is set. There always seem to be common traits among automotive brands shortly after cancellation. The reduction of products, indecision of the brand’s identity and ultimately loss of corporate focus affected Plymouth, Oldsmobile, Saturn, Mercury and Pontiac. Forgive the thoughts that unless we see more concrete plans for the Dodge and Chrysler line from Fiat Chrysler Automobiles, there will remain questions regarding the ongoing presence of both badges. This site is created to provide the news and views relating to Canadian automotive trends.